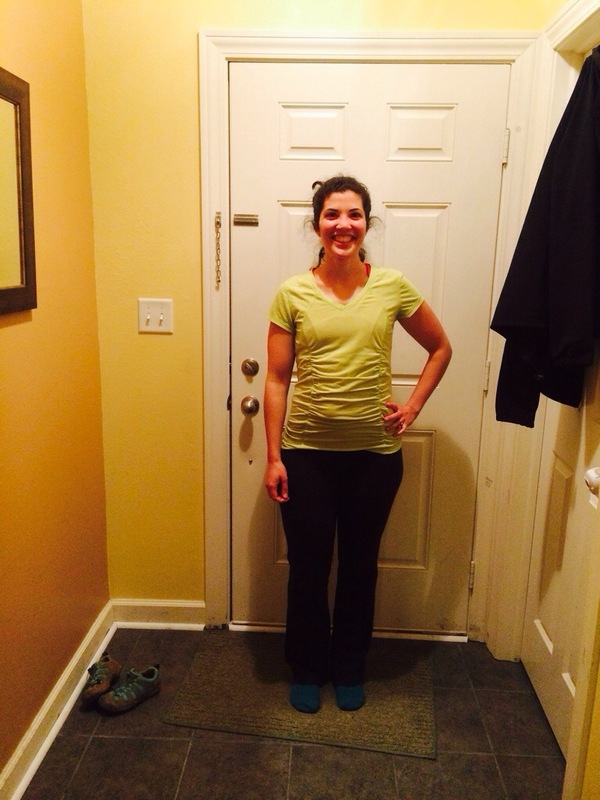 For the last eight months, I’ve worked on bringing my body back to a healthy place postpartum. Pregnancy was not kind to me. I gained 50 pounds the first time, 75 the second time, and close to 100 the third. Pregnancy left me anxious and angry. It hurt. All the time. My abdominal wall herniated from the top down. My pelvis slid out of place when I sat or stood or breathed deeply. It was excruciating. After experiencing hyperemesis (uncontrollable vomiting) during my third pregnancy in addition to my regular symptoms, I had a tubal ligation and planned for my uterine ablation without batting an eye. I had my tubal the day after my daughter was born-it was the 4th of July. I declared it my Independence Day and set my sights on regaining physical health so I could play with my kids and enjoy life. It took a year before I was cleared by my doctors to work out at a gym. I chose Hoosier CrossFit. It challenged me to be accountable for myself and pursue full body fitness. I love the tagline “Training for Life.” That is exactly what I needed and exactly what I got. Within one month I was an inch taller because I could stand up straight. This still blows my mind. While my actual weight never really shifted, I lost a full dress size (top and bottom). I had less asthma, no headaches, no injuries, was less clumsy, more energetic and was happier than I’d been in years. I could run around with my kids! I could landscape my yard! I was free! The last day of OnRamp, a one month class designed to teach the mechanics of CrossFit movement. I’m the one wearing neon green and an I-can’t-believe-I-made-it-through smile. And I still am. Except for one thing. That herniation had closed, but opened back up when I slept wrong and initiated a recurrent neck injury. I had to scale back my CrossFit routine to care for my neck. My abdominal wall wasn’t getting as much exercise. Then I went into the hospital, was pumped full of pain meds and bloated by antibiotics. I came home and yesterday, pop! My innie is now an outie on top. This is me six months into CrossFit, wearing the same workout top as in my group pic. I am narrower and more tucked in everywhere. The shirt now hangs loose on me, despite me weighing the same. The tremendous pain aside, it is devastating to watch a long-term investment disappear. I know I’m in better shape than I’ve ever been. I’ve known I would have to have my abdominal wall repaired and was already planning the surgery. But I was planning to CrossFit up until the day of the surgery to speed that recovery. I can’t sit or stand up straight because I have no core strength. I definitely can’t CrossFit. Even thought I know I will start back up post-surgery, or that I can walk or swim or do any number of low impact exercises in the meantime, writing the email to stop my account nearly broke me. Have you ever had to part with something you love because it was for the best? This question has global reach in our lives. It’s more than about a gym membership for me. HCF represents what I am willing to do for myself–it represents my personal emotional and physical growth and my success in valuing me. It is a marriage contract with myself. A commitment to my well-being. A dare I took and came out the other side of knowing that I was badass. Here I am a few weeks ago. I am in the dress (I was working my Goddess and Consort booth), cheering on some Mighty Murph competitors. Sorry about the blur! By the time of this pic, my strength and fitness abilities had jumped considerably, and I have started to look more sculpted, still at the same weight (which goes to show it’s just a number). I will get that back. It may look different with time, but we can recoup these losses.